Even though the roof of your home can seem to be a separate unit from the gutters, they can often affect one another. If you just had a new roof installed on your Loveland home, or even new gutters, it’s important to make sure that each system is working properly so that any leak or error in installation doesn’t damage the other. At Denali Roofing, our contractors are highly trained and skilled at understanding how each system works separately and together in order to protect your home. The last thing we want is for an inefficiency in either your roof or gutters to impact your family. 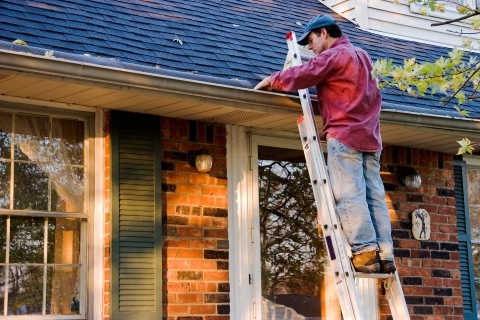 Here’s what to know about how your gutters can affect your roof. Denali Roofing is a Loveland roofing company who serves the greater Northern Colorado communities with quality service and skill. Get in touch with our team today for an estimate. Gutters can sometimes be installed using spikes that connect the gutters to the fascia of the home. These spikes create holes and, over time, the holes will expand due to the materials contracting and expanding throughout the seasons. If any ice dams develop, these can also compromise the spikes themselves and cause the gutters to slowly pull away from your house. When this happens, a space develops between the home and the gutters, letting water in, which can cause serious damage to the eaves and soffits. If there is a particular side of your roof that allows the gutters to span the entire length, the gutters can eventually begin to sag away from the home. This happens more often when the gutters start to come loose from the fascia. If the gutters begin to sag, it’s easier for water to collect in those spaces. This water can eventually cause damage to the fascia. The size of your gutters depends on the dimensions of your roof. The larger your roof is, the larger gutters you will need in order to control the water runoff. You may need to have additional downspouts or “Y” downspouts installed to prevent damaging your roof. In this case, a poorly installed roof could affect the function of your gutters. Typically, a roofing company will install the shingles so that there is ⅛ to ⅜ inch overhang. This is to ensure that water runs into the gutters. When the roof’s shingles are beyond the ⅜ inch overhang, the water will pour over the roof and miss the gutters entirely. If you want addition soffit protection, a drip guard can be installed. 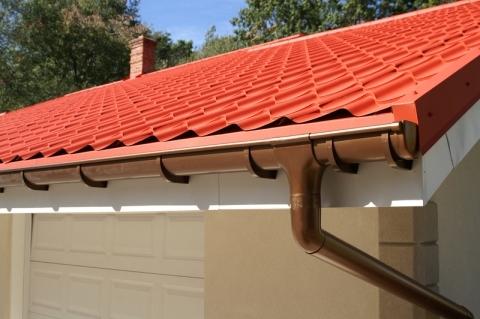 Also known as gutter aprons, these attach to the roof deck, wrap below the shingles, and connect to the interior edge of the gutter. This makes it easier for any water to drain into the gutter and will keep the gutters close to your house. The entire roof and gutter system can be complicated and overwhelming. That’s why it’s essential that a professional roofing company handles all installations and repairs. 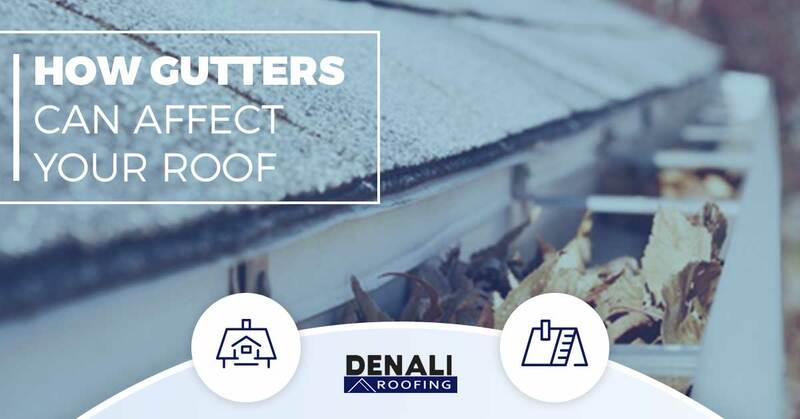 The roofers at Denali Roofing in Loveland are highly capable of assessing any damages and putting together a sound strategy for fixing anything damaged. If you believe there is an issue with your roof, get in touch with us today.